Morris Law Group, PLC, with offices in Sacramento and El Dorado Hills, offers comprehensive estate planning, as well as trust development and administration for Sacramento valley individuals and families of all sizes and wealth levels. Whether it’s a simple trust for a couple who owns a home in Sacramento, or a complex plan involving multi-tiered structuring, structured lifetime gifting, and advanced irrevocable trust strategies, you will get the solutions you need to avoid probate, minimize taxes, and ensure that your estate passes to your heirs quickly, efficiently, and as inexpensively as possible. 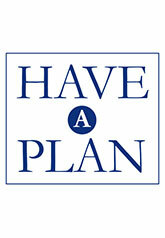 Many of our Sacramento-area estate planning clients come to us with estate plans already drafted. For these clients, we offer free comprehensive trust reviews to ensure that their existing trusts meet their current needs and are in compliance with ever-changing trust and tax laws. Speak to an Experienced Estate Planning and Trust Attorney Today! 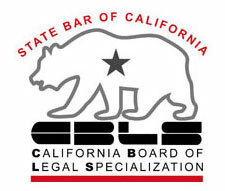 With offices in Sacramento and El Dorado Hills, our attorneys provide estate planning, probate administration and business transaction legal services in the communities of El Dorado Hills, Sacramento, West Sacramento, South Sacramento, Midtown Sacramento, Natomas, Folsom, Granite Bay, Rancho Cordova, Citrus Heights, Carmichael, Roseville, Cameron Park, Shingle Springs and Placerville. At Morris Law Group we pride ourselves on offering small and medium-sized businesses the same powerful business structuring tools that have traditionally been available only to larger business entities. We work with businesses in all phases of their life cycles, from formation, expansion, acquisition, through wind-up and dissolution. For existing businesses we also offer a full suite of ongoing business consulting and legal compliance services, including annual meetings, corporate reviews, contract drafting and review, and negotiations. For some of our clients, we develop an “outside general counsel” relationship. Small businesses rarely need or can afford to have a full-time attorney on staff. For these businesses, we become a trusted advisor, counseling on a wide variety of legal and business matters, and referring to trusted colleagues when appropriate. High-net-worth individuals and families often find themselves the targets of predatory lawsuits in Sacramento. For these predators, it’s not a matter of winning at trial-all they have to do is make it cheaper for the defendant to settle, and they will walk away with a significant chunk of what you’ve worked so hard to earn. Call to Speak with Attorney Dave Morris Today! At Morris Law Group, we like to think of ourselves as the “ounce of prevention” when it comes to protecting your wealth. With proper foresight and adequate time for planning, you can set up barriers between your assets and the people who might want to take them away from you. Although no asset protection strategy is completely impregnable, you can turn the tables on predatory litigators by making it so expensive and time-consuming to sue that they leave you alone and go in search of easier prey. Many times clients come to us with real estate transactional needs. Perhaps a parent wants to transfer a home to a child. Perhaps you are selling an investment property to a ready buyer and don’t need or want the added expense of working with a realtor. For these and other real estate transactions, Morris Law Group can provide cost-effective and timely solutions to ensure that your property is transferred quickly, inexpensively, and in compliance with the law. Don’t let a “simple” transfer come back to haunt you months or even years down the road.